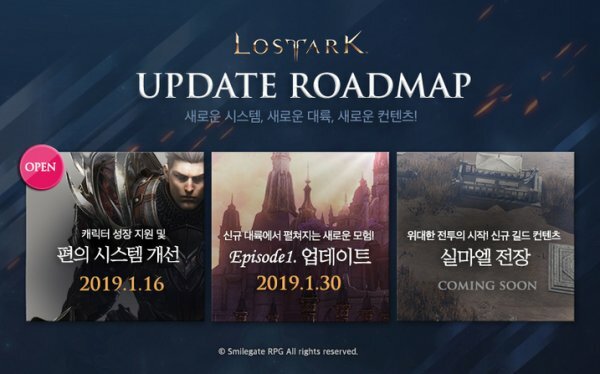 Smilegate has revealed a Lost Ark update roadmap that details the upcoming content that lucky Korean players will be able to try starting this month. Today sees the release of an update that brings some convenience improvements. For example, increased material storage space completely free of charge, or the addition of a ship parts collection center, among many fixes and improvements. On January 30, Lost Ark will welcome the Rohendel continent that we discussed in some detail here. Finally, the third part of this update is yet to get a release date, but it will consist of a new guild content system that comes with a battleground to test your skills on. Further details will be revealed soon. All of this and no western release in sight, although Lost Ark is confirmed to be coming to North America and Europe.